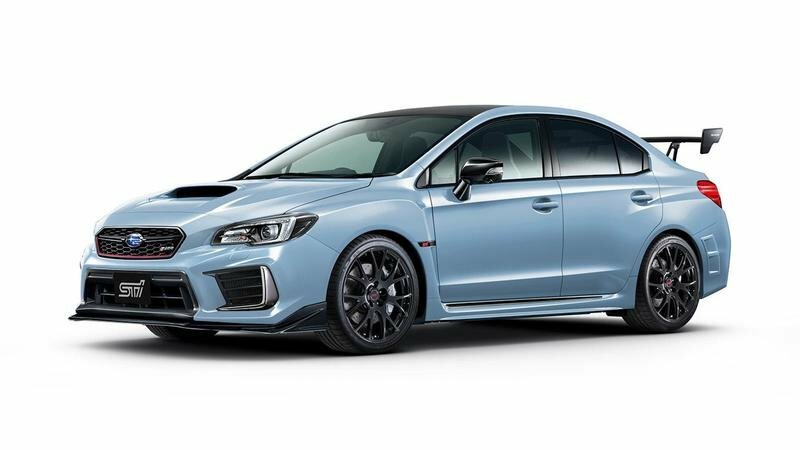 While we’re just a few short days away from the official sheet pull at the 2018 Tokyo Auto Salon, Subaru is teasing us with a few shots of its upcoming Viziv Performance STI, giving us a sneak peek at what the six-star brand might have planned for the upcoming WRX STI. Boy racers and vape enthusiasts, take note – this is your new icon. Subaru S208 WRX STI Limited Edition up for grabs!! There was plenty to like at this year’s Tokyo Motor Show. In fact, we put together a list of the best debuts right here, which is proof positive of at least that much. But for all the lust-worthy designs and impressive technology we did see, there was also plenty of … let’s say, less-than-desirable debuts as well. From the freakish, to the lazy, to the disappointing, this list takes a look at the worst of the worst from the 2017 Tokyo Motor Show. Perhaps you’ll disagree with this list, either because we included something that doesn’t deserve to be called Worst In Show, or because we didn’t include something that does deserve the title. Either way, we’d love to hear your opinion on the matter in the comments section. Did the Tokyo Motor Show fulfill your expectations, or did it end up falling flat? Either way, read on for our picks for Worst in Show. Despite the partnership between Toyota, Mazda, and Denso to develop structural technologies for electric cars, Toyota showed up at the Tokyo Auto Show with news that its new solid-state battery technology is a “game changer,” but that it would not share the new technology with its partner Mazda. Apparently, the two brands will still share a platform that can support either current Lithium-Ion batteries on the new solid-state units that Toyota has developed in-house and will keep in-house. This news comes just a few months after the initial deal between Toyota and Mazda was announced that included an investment from both automakers to build a $1.6 billion plant in the U.S. to develop “electric vehicle technology.” A month later, Denso was added into the mix, and a new contract was signed. The new plant will reportedly be built in the south and employ 4,000 people that will have a hand in producing 300,000 vehicles annually. Essentially, the companies will be sharing factory space and pulling certain parts – now, apparently, EV platforms – that they can all use in their vehicles, something that should help both companies shed a little bit of production costs. 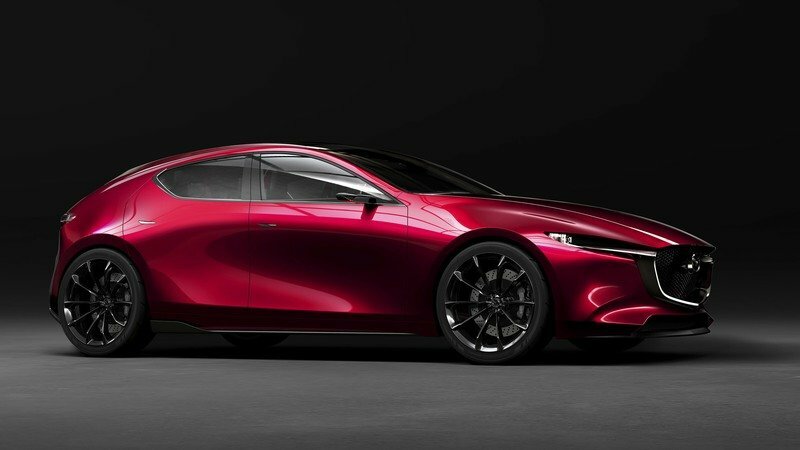 Of course, we haven’t heard a word from Mazda as to whether or not it was expecting to get Toyota’s battery tech as well, but there certainly could be some drama flying around if it was an expectation of the deal. On the other hand, the move should help keep the companies competitive and hopefully Mazda has something up its sleeve as well. At this point, both companies really need to step up their EV game as stricter emissions laws are forcing automakers to shift into delivering more and more EVs in the coming years and some countries are outright banning the ICE altogether. There’s no word as to when Mazda will put its first EV on the road, but Toyota plans to launch its first EVs (probably SUVs or Crossovers) in the first few years of the next decade. Exciting stuff to say the least. The bi-annual Tokyo Motor Show has once again come and gone, bringing with it a flurry of new rides to ogle and admire. 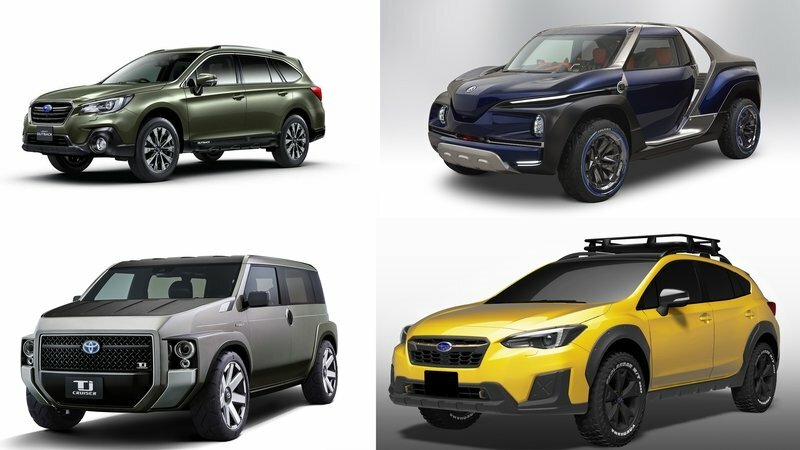 While the production side of the debuts was a bit light in the overall offerings, especially for U.S. consumers, the batch of fresh concepts on display was practically overflowing. 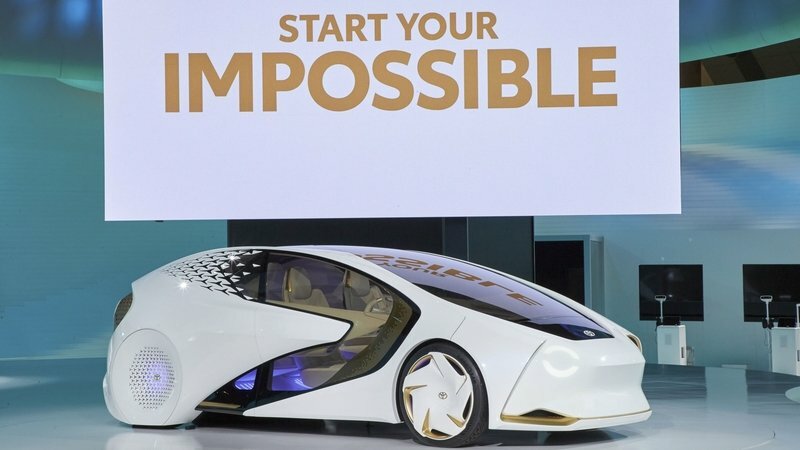 And that’s fitting, considering this year’s theme was “Beyond The Motor,” giving us a futuristic, forward-thinking look at the automotive world yet to come. Out of this mix, we’ve assembled the best debuts to hit the Tokyo limelight in 2017, giving you, dear reader, a glimpse at the good stuff on offer from the Land of the Rising Sun. 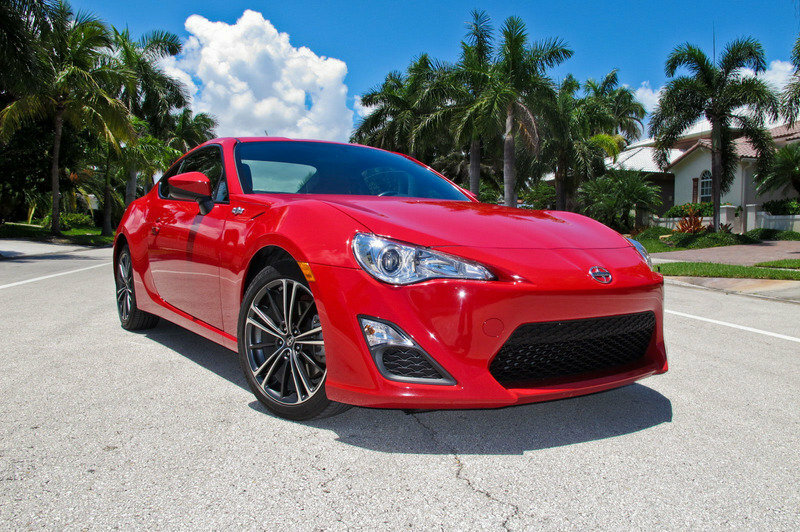 Whether they offer drop-dead gorgeous exterior styling, innovative technology, or we just wish it was sold over here on these shores, the following vehicles have been carefully picked for your enjoyment. If you want a more in-depth look at what the 2017 Tokyo Motor Show has to offer, check out our complete and updated Visitor’s Guide. Otherwise, click on and join us as we drool over the best of the best from Japan. 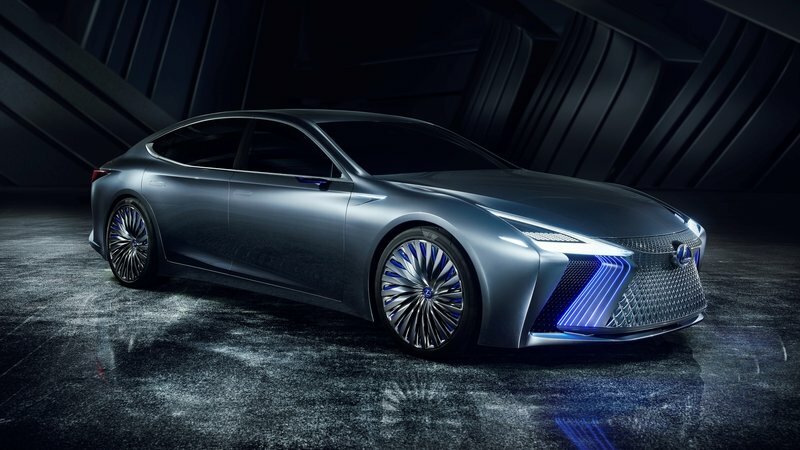 Founded less than 30 years ago as of 2017, Lexus has come a long way in the luxury market, now offering quite a few models that can give production from BMW, Mercedes-Benz, and Audi a run for their money. The Japanese company has been growing so fast it’s already celebrating a full decade since it launched its first performance-oriented vehicle wearing the now familiar "F" badge. To mark the anniversary, Lexus launched two limited-edition models at the2017 Tokyo Motor Show, one of which is the RC F Limited Edition. While the name might not be very inspiring, this RC F has plenty of new features to brag about. From a wide array of carbon-fiber-reinforced plastic body elements to an exclusive upholstery layout and upgraded suspension, the limited-edition coupe proves that the RC F has yet to reach its full potential. Unfortunately, this beefed-up two-door won’t make it to the United States, but you’ll have to keep on reading to learn more about that. 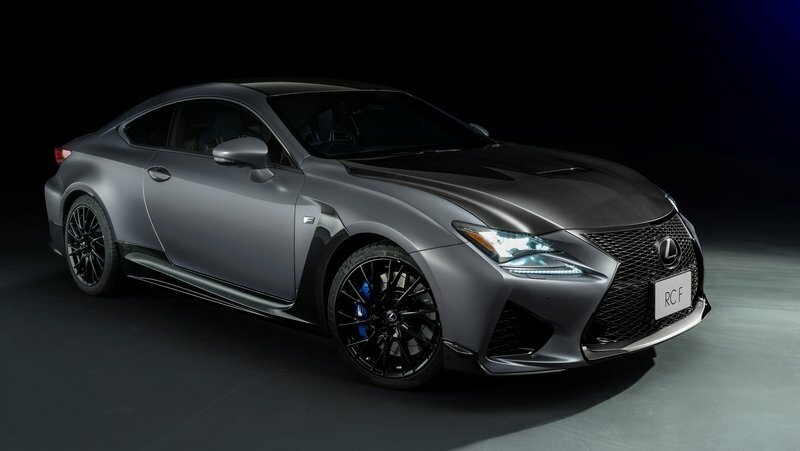 Read more about the Lexus RC F limited edition. Subaru just revealed its latest ultra-sleek concept model at the 2017 Tokyo Motor Show. 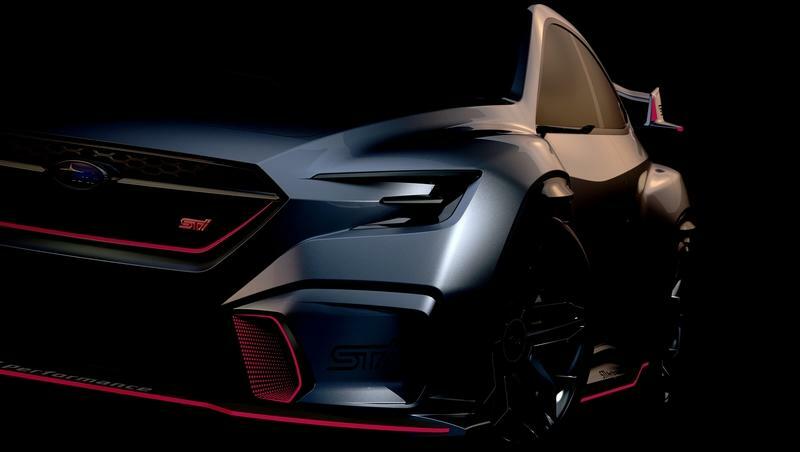 Dubbed the Viziv Performance (Viziv is shorthand for “Vision for Innovation”), this Scooby is the latest in a series of concept cars to bear the Viziv name, rocking an aggressive exterior and tons of speedy visual cues. This is also the very first four-door sedan to come from the concept line, which can only mean one thing – this is what Subaru’s designers imagine for the next WRX. The emphasis is on driving fun and attention-grabbing details, both of which the Viziv Performance manages to accomplish, at least on paper. So then, what does it say about the brand’s favorite rally star? Read on for details. 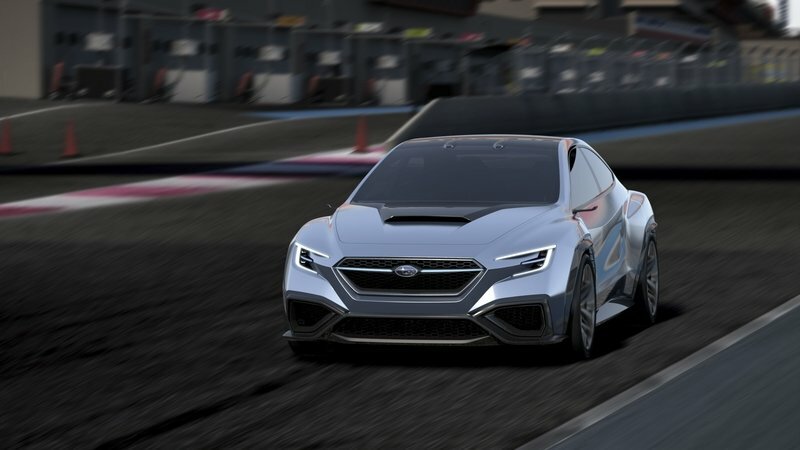 Continue reading to learn more about the 2017 Subaru Viziv Performance Concept. 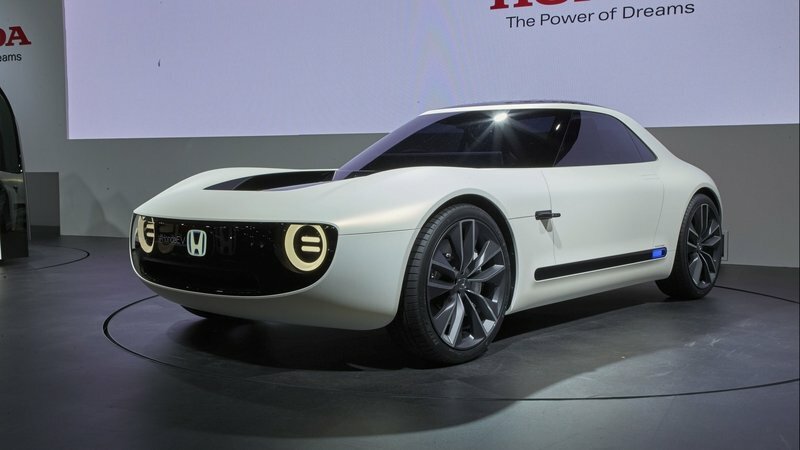 When Honda debuted the Urban EV Concept at the 2017 Frankfurt Auto Show, I was quick to scrutinize the brand for building something so weird, but as I looked at it more, it began to grow on me. And, it’s a good thing it did because that thing is slated for production for the European market sometime in 2019. And, to really top it off, Honda showed up to the 2017 Tokyo Auto Show with a sports car that looks quite familiar – the Honda Sports EV Concept. Following suit with the previous concept, it carries the same general styling cues in a futuristic but feasible package. Of course, it’s a sports car, so it doesn’t have that love seat up front, but it is quite sporty for what it is, and it could just as easily shift into production thanks to being built upon the same platform used for the last concept. Unlike the last concept, however, we have next to no information. And, Honda didn’t even take the time to release interior shots of the concept either. We can tell that it has that massive display screen and that it’s missing the couch, but outside of that, we can’t see much. But, that doesn’t mean that this little battery-powered sports car should be overlooked. Out of all the EV sports car concepts we’ve seen, this is the one we really want to see become a reality, so let’s take a good look and see what’s crackalackin. Yamaha is well known for building fun stuff like motorcycles, ATVs, UTVs, outboard engines for boats, and even the occasional musical instrument or two. 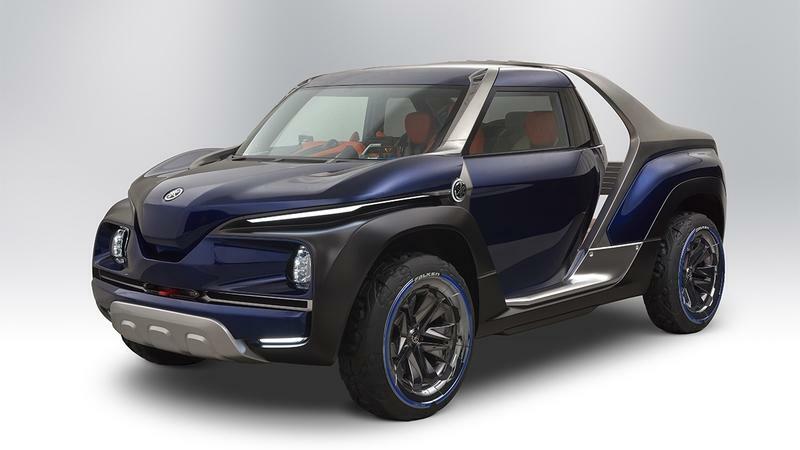 Now, the Japanese mega-corporation is toying with entering the compact pickup market with this, the Cross Hub Concept. It’s unique in just about every way, from its seating configuration to its cargo bed. Sadly, the project seems a bit too “concept” to make production anytime soon. 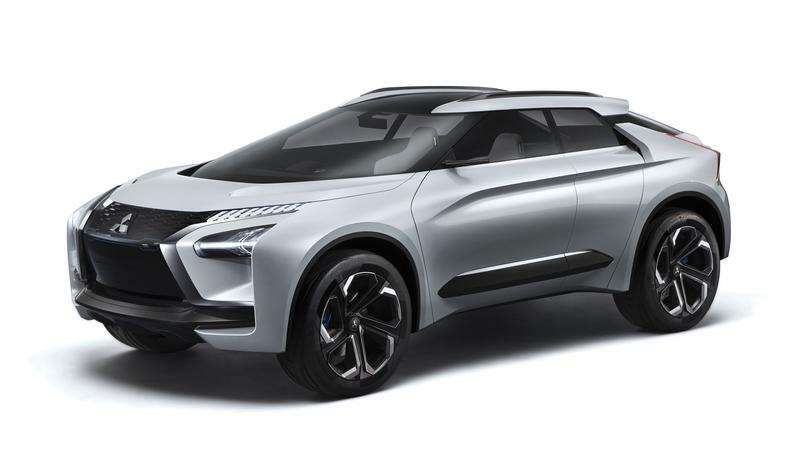 The Cross Hub Concept made its debut at the 2017 Tokyo Motor Show and is billed as a lifestyle car for those splitting time between city life and the great outdoors. Yamaha says it’s “just the right size” and is designed for on-road and off-road maneuverability while still having room for “other Yamaha recreational products.” So far, this is the furthest Yamaha has gotten to building a road-going, four-wheeled vehicle. Of course, there was the time it developed and built high-strung V-6 and V-8 engines for the first three generations of Ford Taurus SHOs, and technically some of its side-by-side UTVs are road-legal, but you won’t find any rolling down the interstate. The Cross Hub, on the other hand, promises to be road-ready and built for fun. Is Mazda entering the full-size market? Mazda has had quite a few good years since 2012, introducing not only a very appealing design language but also a solid lineup of crossovers and SUVs. 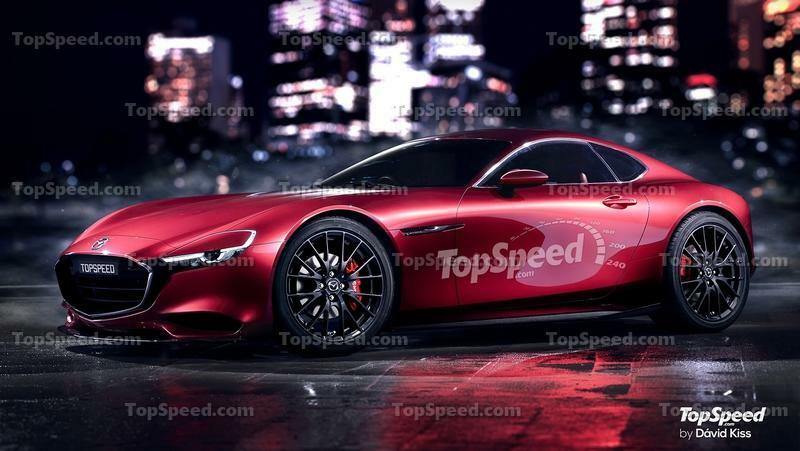 In addition, it came up with two wild Vision concepts, one that pays tribute to the Le Mans-winning 787B and one that previews a successor to the iconic RX-7 and a new-generation rotary engine. But it appears that the Japanese firm isn’t stopping here. At the 2017 Tokyo Motor Show, Mazda unveiled the Vision Coupe, a sleek four-door that may become the company’s larger sedan yet. Based on the RX-Vision design-wise, the Vision Coupe is unlike any other Mazda we’ve seen on the road. Not only larger than the Mazda 6, it also has a decidedly sporty attitude and a coupe-like roof that reminds of the Mercedes-Benz CLS, the car that started this whole trend. 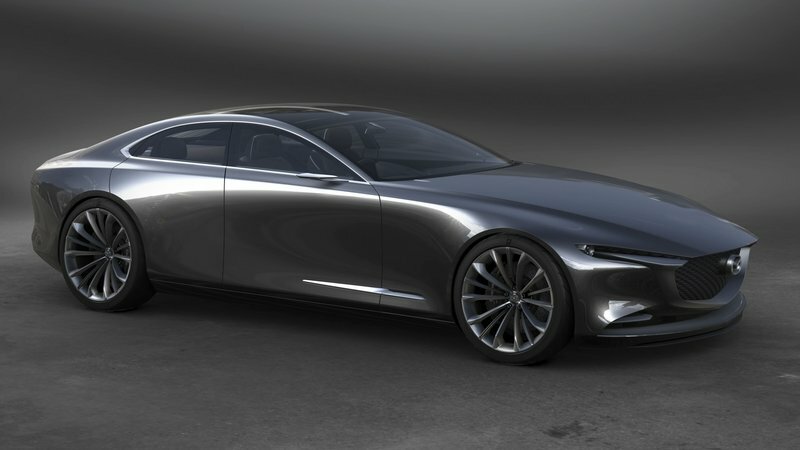 And while there’s no official word on what Mazda will do with this concept, a full-size sedan is very likely in the future. With Mazda having offered such a model for only a few years in the 1980s and 1990s (remember the 929? ), a full-size sedan would be a big deal for the Japanese automaker. But until we find out more about that, let’s take a closer look at Mazda’s most exciting sedan yet. Continue reading to learn more about the Mazda Vision Coupe. The Tokyo Motor Show is nearly upon us, which means we’re preparing for a barrage of wild concepts and cool sci-fi weirdness. Mitsubishi is already getting on the action, unveiling its new e-Evolution a few weeks ahead of the big sheet pull. The design study is framed as a preview of forthcoming technology and exterior styling from the automaker, and includes a focus on all-electric propulsion mated with an AWD SUV body style. The e-Evolution also gets a few interesting driver assistance technologies, like an onboard AI that customizes various onboard systems to your preferences and will even coach you on how to be a better driver. The e-Evolution is just one of 12 vehicles Mitsubishi is bringing to the show, so we’ll have to see what else will make an appearance, but so far, the e-Evolution is one of the more ambitious concepts we’ve seen from Mitsu in a while. Of course, we have to address the elephant in the room – the repurposed Evolution nameplate. Just last year, Mitsu killed off the Lancer Evo, the iconic rally-bred sedan that churned major terra in the WRC. Purists will undoubtedly balk at the thought of an all-electric, AI-infused SUV carrying the torch lit by that four-door monster, and rightfully so, but either way, it looks like change is inevitable here. Read on for the full details. Updated 10/25/2017: The Mitsubishi e-Evolution Concept just debuted at the Tokyo Motor Show! Check out all the pics and details below. Continue reading to learn more about the Mitsubishi e-Evolution Concept. A future competitor for the Tesla Model X? 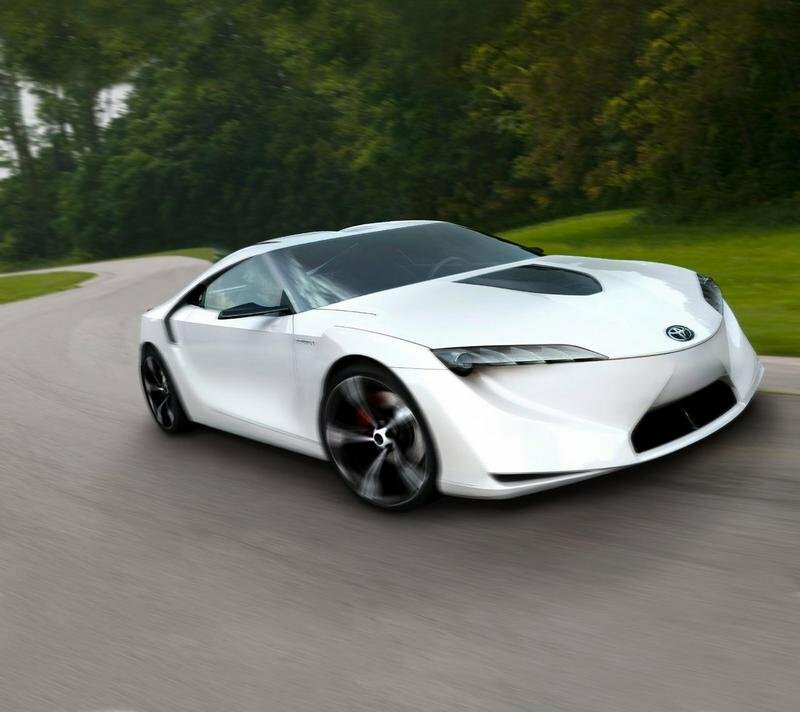 Back in 2013, Nissan unveiled the IDx concept, getting everyone excited about a competitor for the Toyota 86 and a revival of the iconic Datsun 510. But that didn’t happen as of 2017, with Nissan going back and forth with the idea. 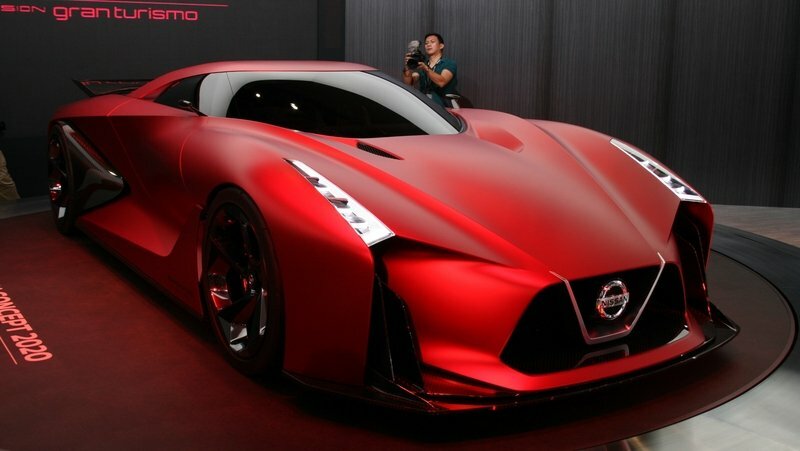 Four years have passed, and the Japanese firm returned with a new concept car using a similar nameplate. the IMx. But, while it sports a similar badge, the new concept, which made its debut at the 2017 Tokyo Motor Show, is actually entirely different in terms of layout and technology. 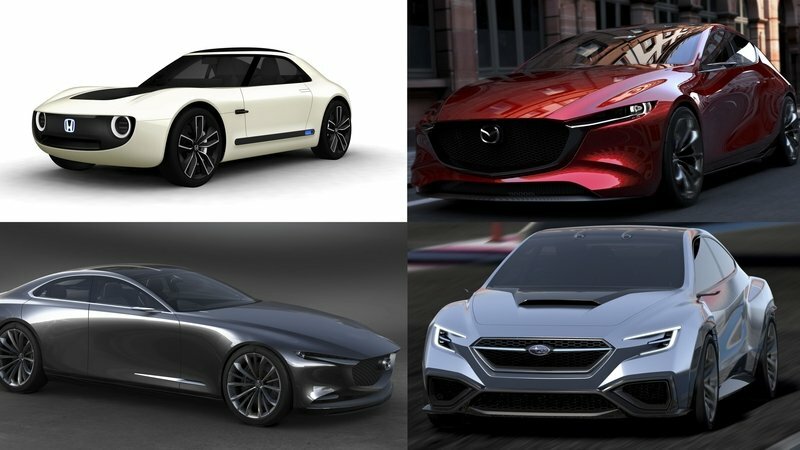 To be more specific, the IDx was a tribute to the Datsun 510, a compact sports car that made a name for itself on both public roads and race tracks, the IMx is a sleek crossover that provides a glimpse into the future of Nissan Intelligent Mobility, or the company’s approach to how cars are "powered, driven, and integrated with society." 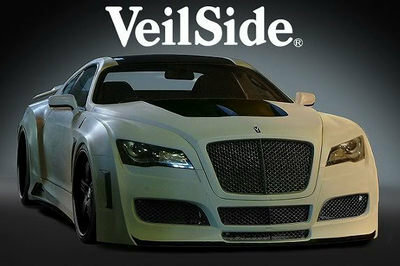 In simpler terms, it previews the brand’s upcoming electric drivetrain and autonomous system. It also hints at Nissan’s future design language, which may bring sleeker, sportier SUVs in showrooms. 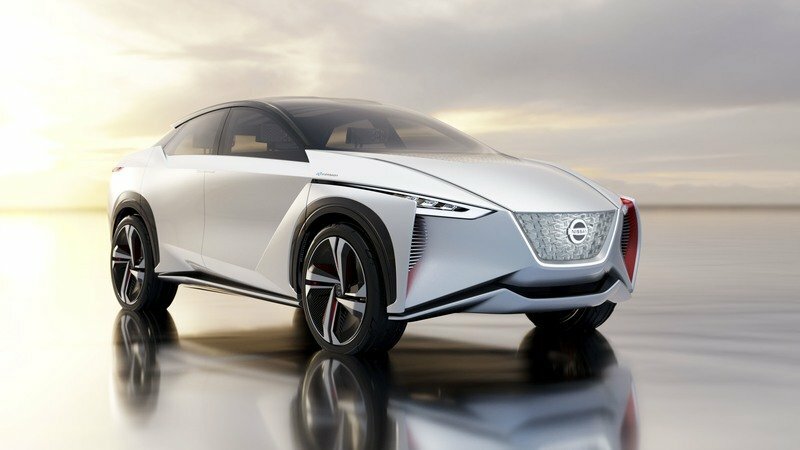 Continue reading to learn more about the Nissan IMx concept. 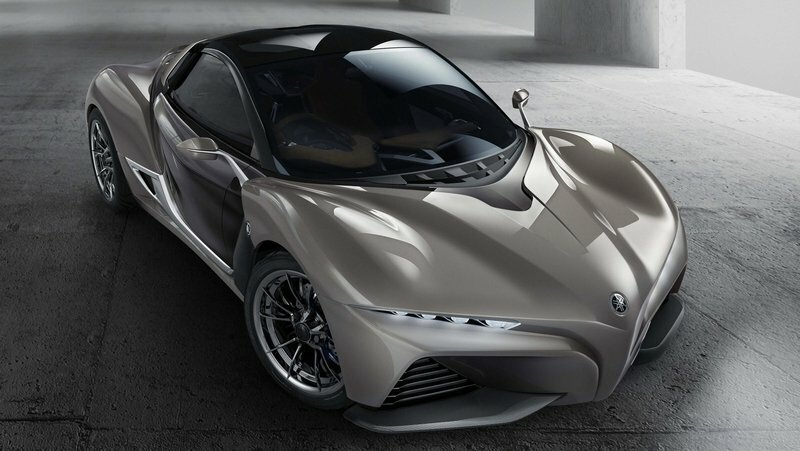 Yamaha’s back with another automobile design concept! The 2017 Tokyo Motor Show is going to be very eventful this year with many showcase pieces expected to be in attendance. 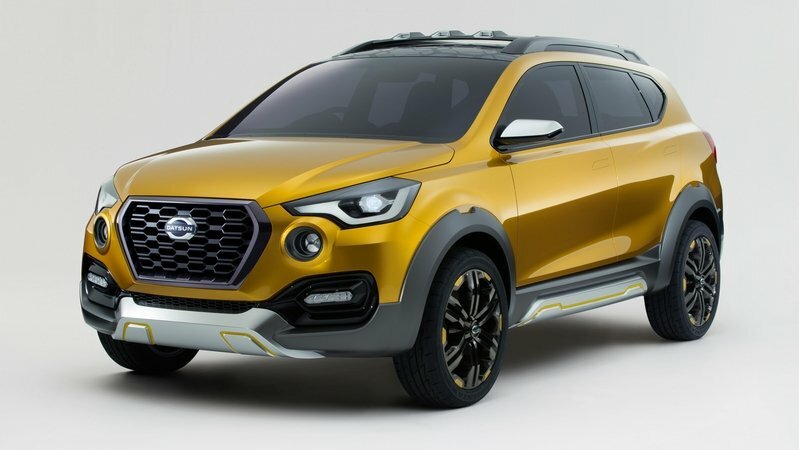 There is one vehicle though that’s going to get a lot of attention, and all because it comes from a company that’s not necessarily known for building cars, let alone one of the concept variety. Yes, folks; Yamaha’s at it again. Two years after introducing the Sports Ride Concept in the same event, the noted motorcycle company is bringing another “automobile” to Tokyo. The concept vehicle will be one of six world premieres that Yamaha is expected to unveil. All the others are typical scooters, motorcycles, an e-bike, and a futuristic motorcycle prototype that’s right up Yamaha’s alley. Now, I spent a good deal of time on the motorcycle scene here at TopSpeed, so I am curious about what Yamaha’s two-wheeled debuts are going to be. But, I will admit that I’m more curious about what Yamaha’s “automobile design concept” is going to be. Details are still scarce at this point, but it’s hard to look into what Yamaha unveiled two years ago and not think that there’s a possible connection between the Sports Ride prototype and whatever it is that the company is preparing to unveil at the Tokyo Motor Show later this month. Remember that lightweight piece of automotive goodness? Not only did it look like a proper concept car, but it actually had roots to the iStream design concept that was popularized by none other than Gordon Murray. I don’t know if this new concept will have similar roots, but you can be sure that I’m excited to find out.